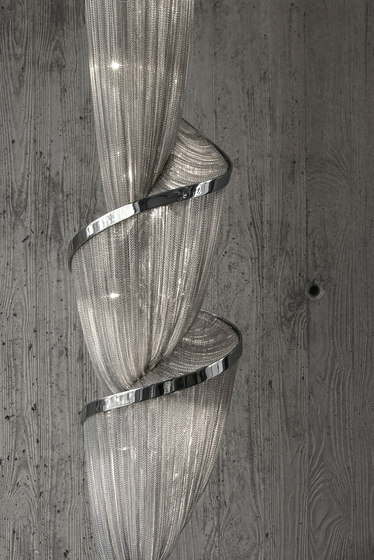 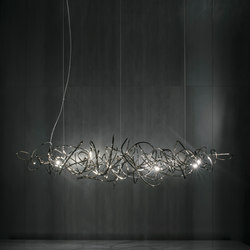 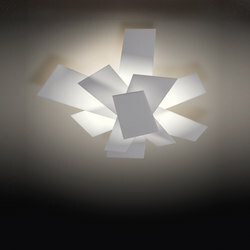 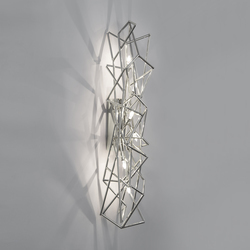 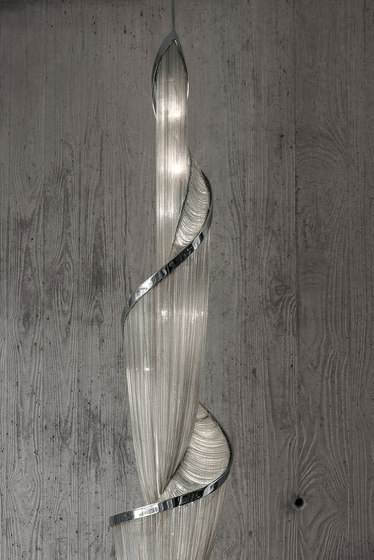 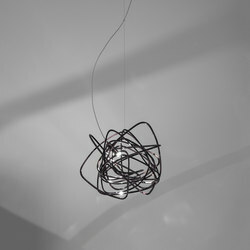 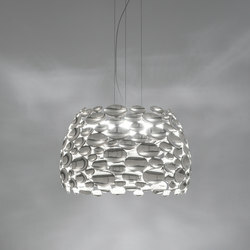 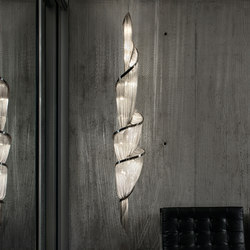 Epoque is a light sculpture designed to study chiaroscuro and volumes. 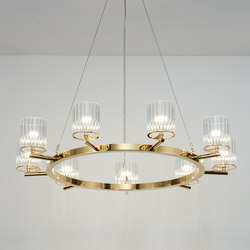 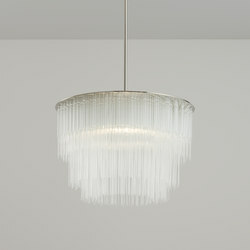 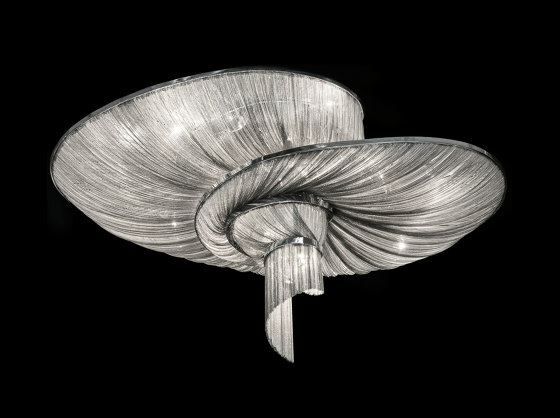 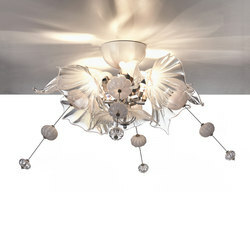 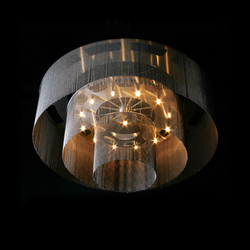 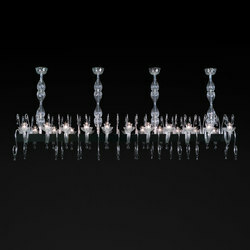 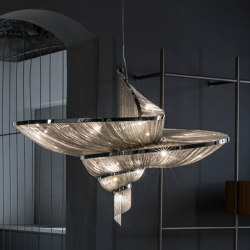 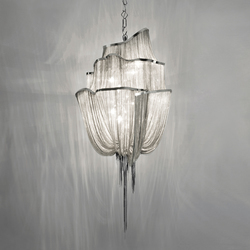 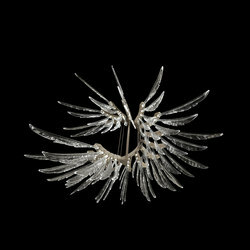 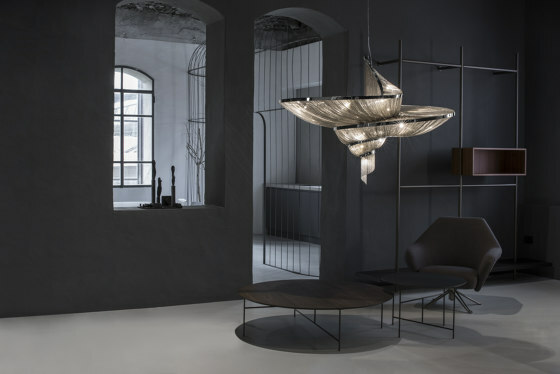 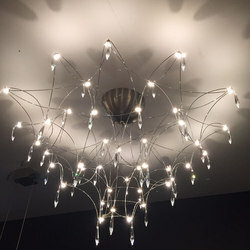 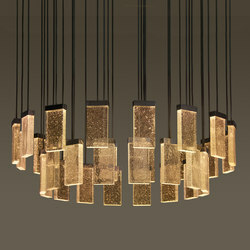 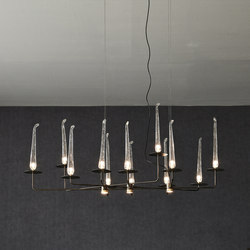 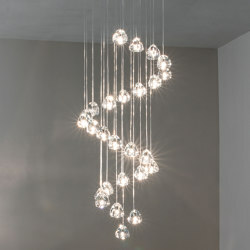 The result is a modern expression of these Renaissance-era techniques in a stunning chandelier. 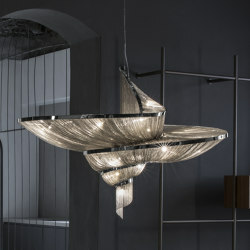 Composed of curved, organic lines, Epoque’s frame is made of flexible and durable brass metal, suspended by nickel metal chains. 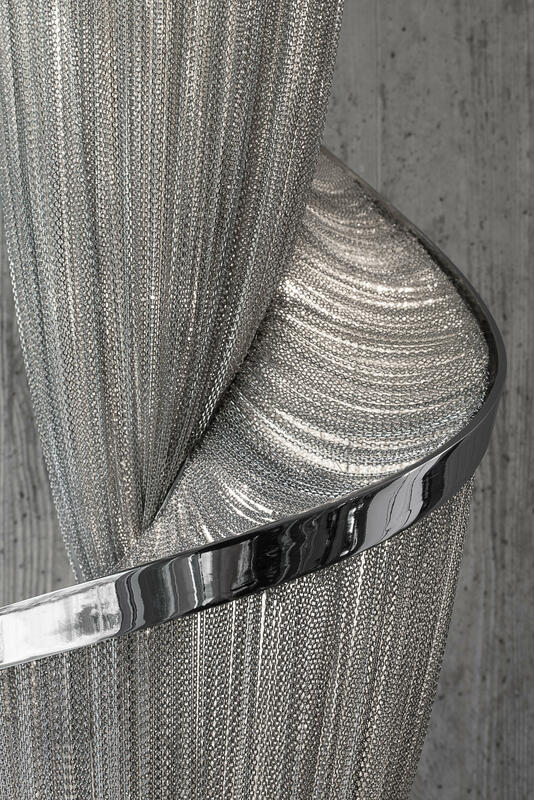 Two bands of metal, a central elongated section and an external band of wide arcs, allows the light to envelop a room in reflections of soft light. 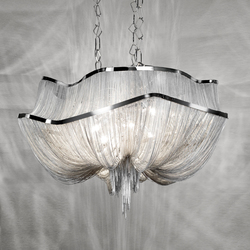 Epoque has attracted attention from those in the design community with discerning tastes. 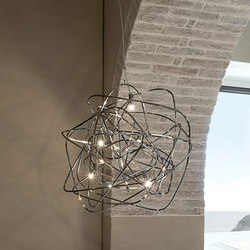 Epoque is available in nickel, black nickel and gold finish.